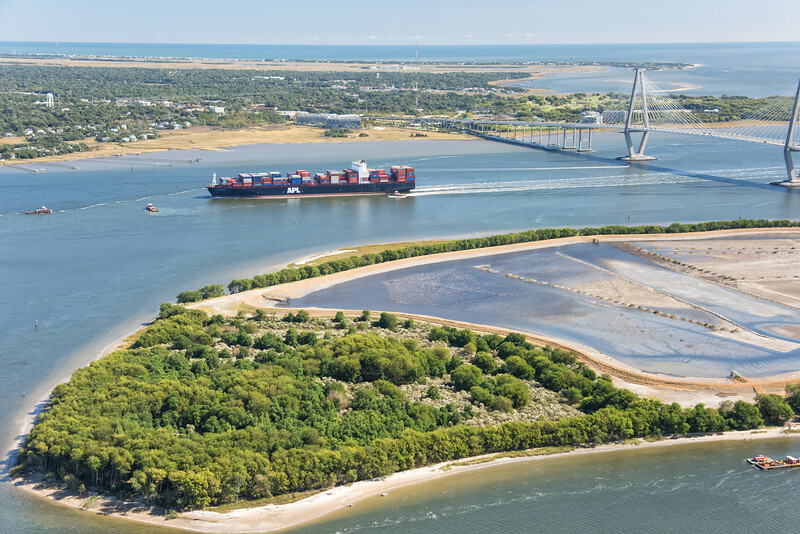 The images in this gallery include the Port of Charleston, the Arthur Ravenel Bridge, Mount Pleasant, Sullivan's Island, Patriots Point, Shem Creek, views of Charleston harbor, Castle Pinckney, Fort Sumter and shipping activity offshore. This is a selection of images available for licensing created from a large aerial library of many other images. If you have a specific requirement, please check with me because I may have it - just not in this gallery or perhaps not even on my website.